A complete line of products featuring a unique, nonsolvent process that expels and processes soy lipids while preserving the benefits of vitamin E, lecithin and essential fatty acids in the soybean. Let us help you find the right soy ingredient for your next research initiative! 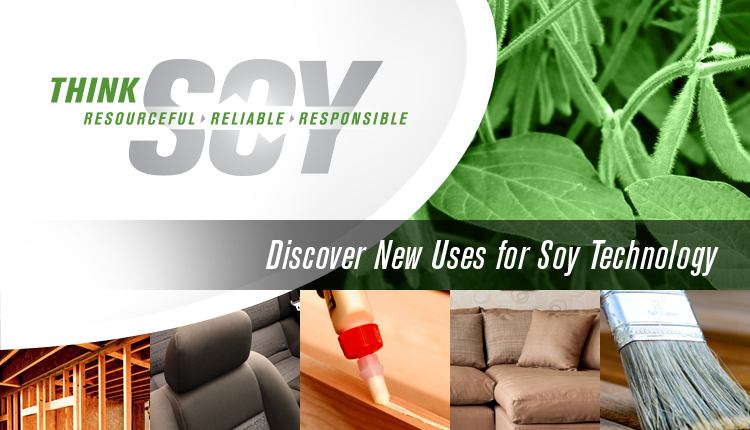 Renewable by nature, U.S. soy is used as an ingredient in a diverse group of biobased products. Announcements concerning research, development and commercialization of soy-based products and technology. The new 2017 Soy Products Guide is now available for download: Discover more than 860 ways to Think Soy!